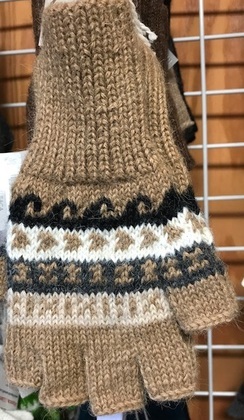 Beautiful, Handmade, Unisex, Soft Alpaca fingerless gloves with a Peruvian design. Perfect for when you want warm hands but need your fingertips and thumbs free. Note: One size - best for Small or Medium hands.